EstateBuyers.com are estate buyers and sellers of entire estates, specializing in fine diamonds, gemstones and jewelry. We are recognized as one of America’s premier estate buyers with the most experienced and professional staff. For over 25 years our managing partners have paid some of the highest prices for entire estates. EstateBuyers.com is known for treating clients with honesty and respect. We always conduct ourselves with integrity and in an ethical manner. EstateBuyers.com always provides our clients with full confidentiality. When you are looking for estate buyers, make sure you choose EstateBuyers.com. Our GIA Graduate Gemologists are the best in the business as they have over 40 years of experience and are constantly engaged in continuing education. Our team is equipped with the latest technology allowing us to more accurately evaluate your estate and make the highest possible offer. Do you have broken diamonds in your estate and cannot find anyone to buy them? EstateBuyers.com uses the same technology as the Gemological Institute of America to analyze broken diamonds and determine the best way to cut them and make them usable again. This ability to recut your broken diamonds allows us to pay some of the best prices for broken diamonds. EstateBuyers.com has local, national and international markets allowing us to pay top dollar for your estate. EstateBuyers.com are long term members of the Jewelers Board of Trade, World Federation of Diamond Bourses, Jewelers Vigilance Committee, National Association of Jewelry Appraisers, Accredited Gemologists Association, Gemological Institute of America, and others. We are accredited with the Better Business Bureau and have an A+ rating. Whether you are selling loose diamonds and gemstones or antique jewelry, our estate buyers will be able to identify your items and make strong offers on your valuables. EstateBuyers.com works with Attorneys, Charities, Liquidators, Bank Trusts, and Private Clients. 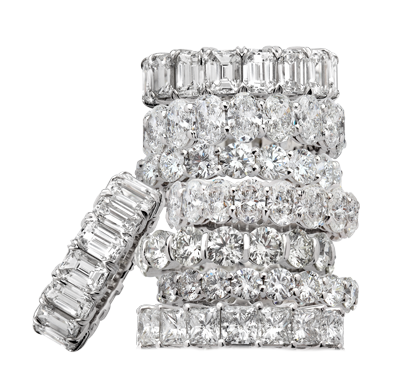 Contact us today and let one of our estate buyers turn your old estate jewelry into cash.